For my first post I have put up the only decent drawing I have hanging around my hard drive at the moment. This illustration was done as a memento for my friend Maria, who will be heading back home to Spain in just a couple of weeks. I asked her what sort of thing she liked, and the only english word I picked out of her spanish babbling was 'gorilla'. It being that I look a fair bit like an ape, I decided to draw myself as a gorilla. 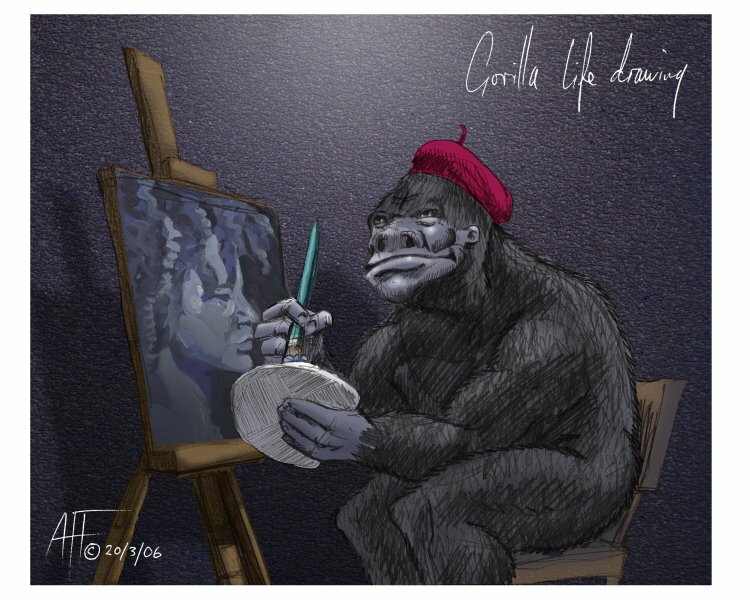 I scanned in a life drawing and superimposed it on the gorilla's easel. That way, my friend Maria got 2 illustrations. 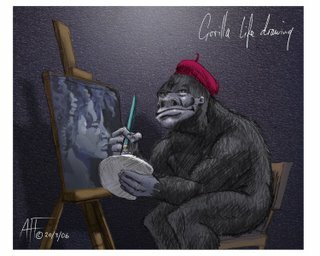 The mini-version of one of my life drawings done in acrylics, and the semi-self portarit of an artistic gorilla done in pencils and digital media.